Planning the construction of a brand new residential structure can be a thrilling as well as cumbersome experience. 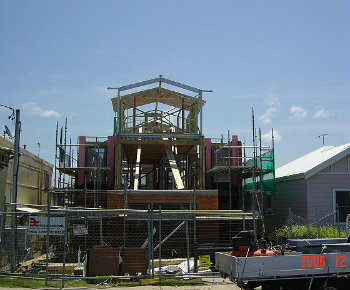 For the home builder you hire, everything associated with the project will be very routine. As the owner, however, you will be making plenty of important decisions for the first time. In case you feel confused about them, you will rely entirely on your tradespeople to finalise everything for you. But doing so may put you at the risk of not having the project completed the way you visualised it. Prior to proceeding with the project, make sure you form a rough estimate of the amount that you will need to spend on it. House plans usually provide a tool that can provide you with a precise estimate of the constructions costs for your proposed residence. These costs often include building expenses, tax benefits, the funds for down payment, etc. Is Your Builder Reputed & Efficient? The construction industry is flooded with tradespeople claiming to offer high quality services, but a good number of them provide nothing but sub-standard work. So if you don’t want to end up with an incompetent professional, look into the reputation and efficiency of your builder properly. Check their business site, go through testimonials of previous clients, and carefully analyse their portfolio. Would You Want To Sell Your Property In Future? If your answer is yes, be mindful of your project’s possible resale value. Avoid adding extensive number of upgrades, otherwise your humble abode will be too expensive for anyone to buy. However, do not select anything way too ordinary either. Just think whether the features considered for installation will appeal to potential buyers. Don’t You Want An Eco-Friendly House? Ending up with an abode that uses up more energy is the last thing you would wish for. Therefore, make sure that your new home is designed to be energy-efficient. Bear in mind facts like south facing windows can allow entry of more sunlight, small windows would minimise heat loss and so on. Asking the above mentioned questions will not only help you to prevent wastage of time and money, but also aid in having your new house built just like you envisioned it.